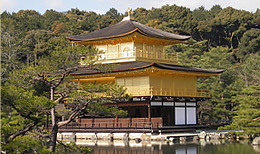 Kyoto has a worldwide reputation for its beautiful scenery and countless historic buildings such as Shinto shrines, Buddhist temples and castles. There are also many exciting cultural attractions including the museum for manga and the theme park for samurai and ninja movies. Kyoto has a rich variety of traditional and modern Japanese goods from which visitors can take their choice as souvenir. Our recommendation is to go shopping not only at tourist spots that are suggested by tourist guides, but also at well-established hidden stores. 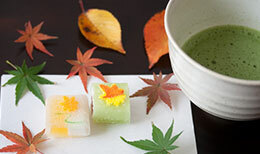 Kyoto offers visitors to experience its unique culinary culture. Our recommendation is to try shojin cuisine (a vegetarian dish) and kaiseki cuisine (a multi-course meal), both of which were originally prepared for Buddhist priests. Visitors will enjoy the delicate flavors of fresh ingredients used there. 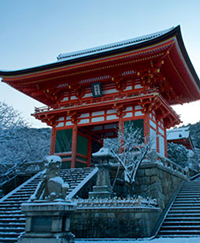 Kyoto, Japan’s ancient capital for more than a thousand years, offers you the essence of traditional Japanese culture. This website will provide you with information and resources to help you experience the city’s cultural richness. 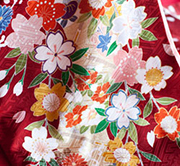 Kimono, the representative traditional wear. 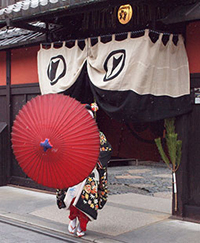 There are several kimonos, such as, first of all, Yukata worn at festivals, the formal "Tomesode" and "Homongi", the ceremonial "Hakama" for men and "Furisode" for women. For Japanese, kimono is part of their culture. Ujicha, a product of Uji, is famous in Kyoto. 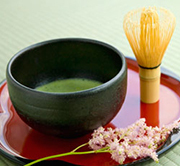 The most famous green teas are produced in Shizuoka and Kyoto. Green tea is popular not only for drinking, but is also used in modern and traditional sweets, as ingredient for noodles, so on. The most recommended Kyoto Cuisine! Kaiseki, Yuba, Tofu, Kyo vegetables. 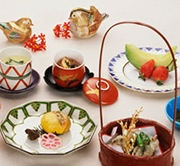 The ultimate Japanese cuisine, in terms of taste and appearance, culture and history. 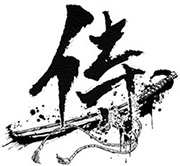 The word "Samurai" is the most famous Japan-related word. There are many Samurai-related goods and Kyo-dolls for gifts. Watch out the real Samurai swords, even Ninja! 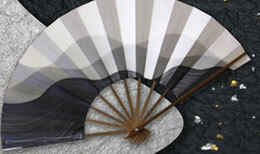 The best gift, the Kyo-doll is known for its beauty and detail from ancient times. 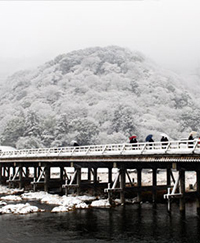 Kyoto Prefecture is located in the central part of the Honshu Island, which is the largest island in Japan. It is enclosed in three directions by mountains (North, East, and West). It has an inland climate, hot in summer, cold in winter and little rain, typical of a basin. The population was 2,361,205 in May 2014 (Kyoto city has 1,470,000 people). 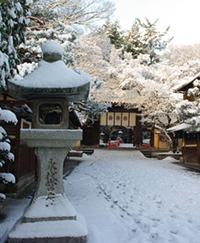 Kyoto City was developed entirely through urban planning since a long time ago. Therefore, its structure is made up of blocks, nearly perfect squares on which it now stands as a modern industrial city. Addresses are longer and difficult to read compared with other prefectures. There are songs created a long time ago just to learn the street names. Formerly, Kyoto (was also called “Miyako” or “Kyo“) was the imperial capital of Japan for over one thousand years from 794 to 1869. When the capital was moved, documents were not filed according to the established procedure. For this reason, some people still say Kyoto is the capital, not Tokyo. 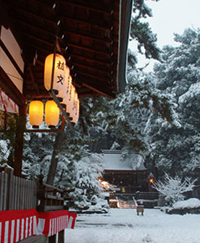 Kyoto’s culture is an image of the typical Japanese traditional culture. There are still many important cultural properties and historical places not affected by the Second World War. Recently, due to the modernization of the city, some sights and street views are disappearing, but temples and shrines are well taken care of for the future generation. In 1994, 17 buildings were registered as UNESCO World Heritage. Please enjoy Kyoto, the symbol of Japan. Copyright © 2014 Kyojapan All Rights Reserved.